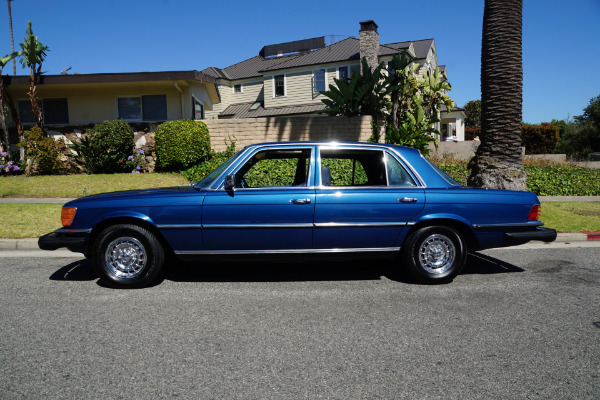 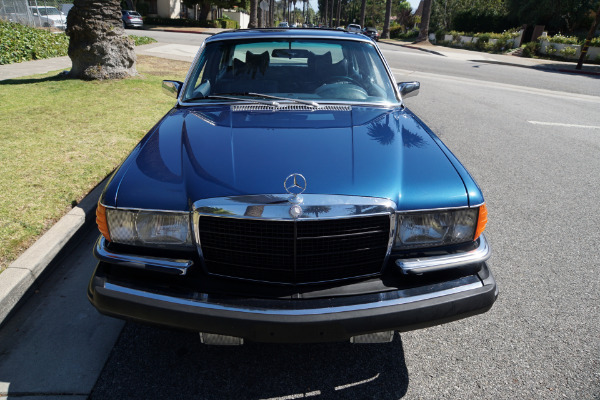 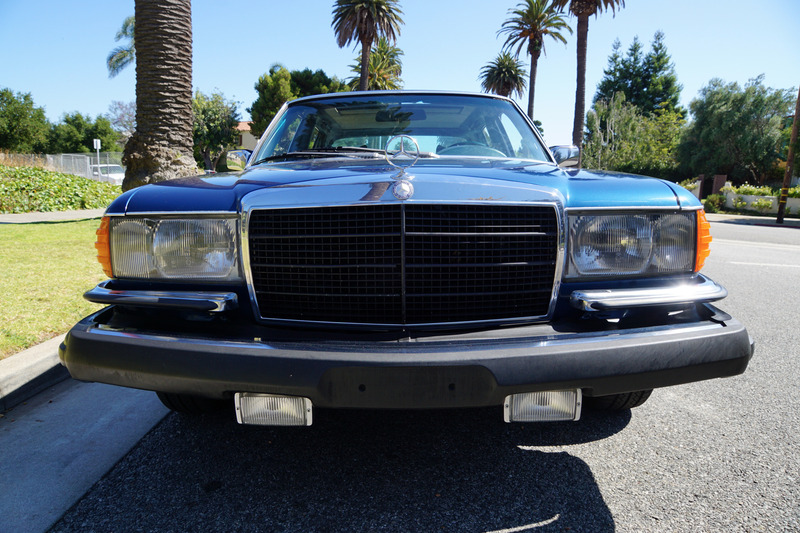 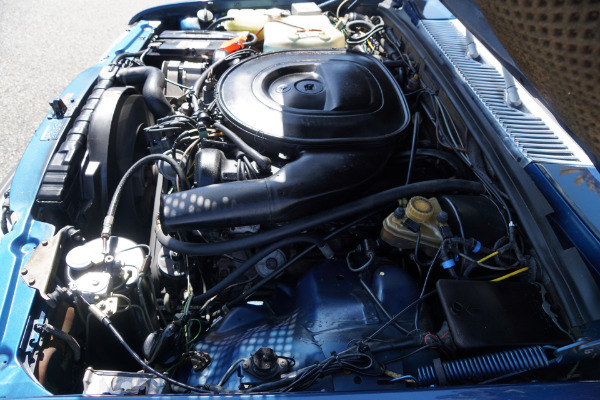 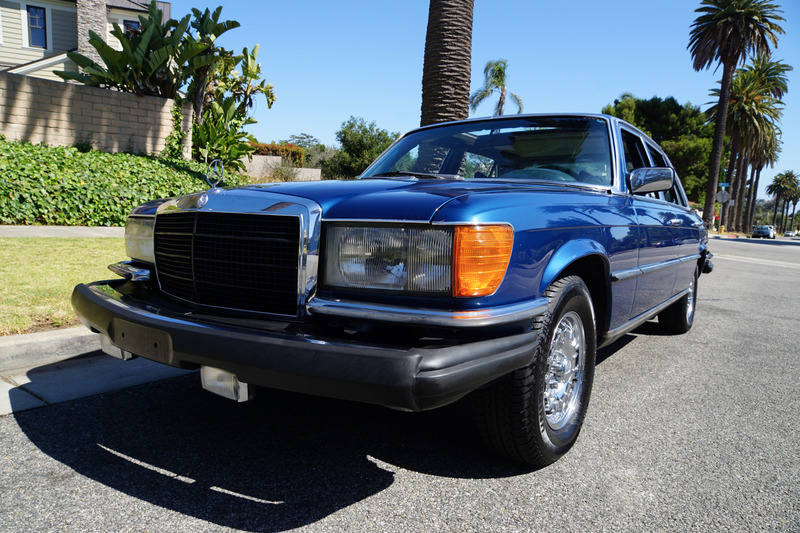 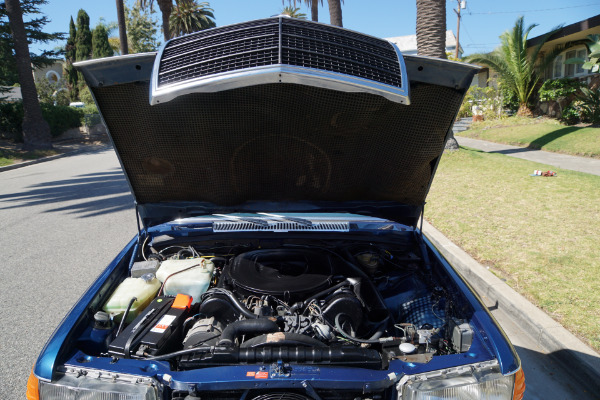 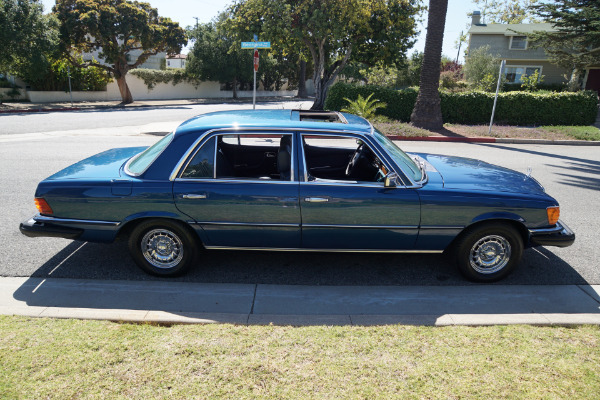 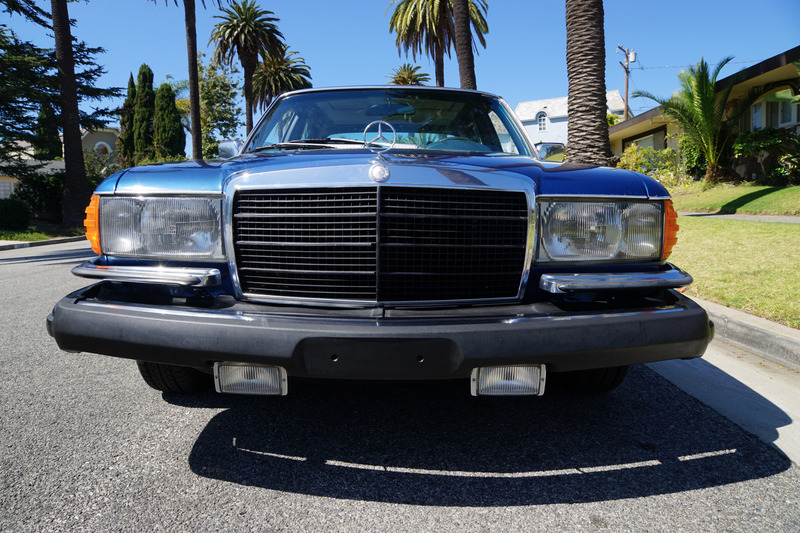 West Coast Classics are proud to present an extremely rare opportunity to purchase an original (494) CA version 1978 Mercedes-Benz 450SEL 6.9 Long Wheel Base (W116-036 Series) 250HP V8 Sedan, a car which was built only between the years 1975-81 in Europe and imported to the U.S only between the years 1977-1979, with only 1,816 cars officially allocated for export to the U.S.A.! 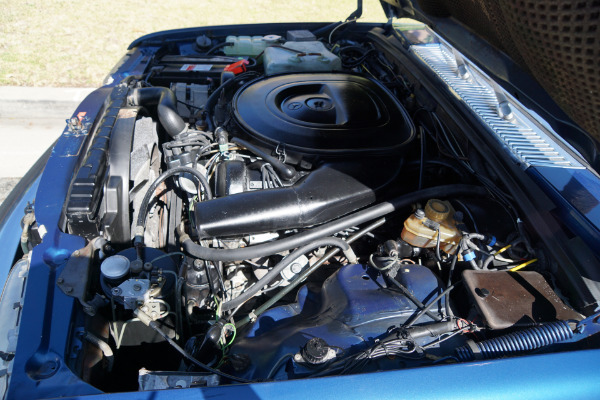 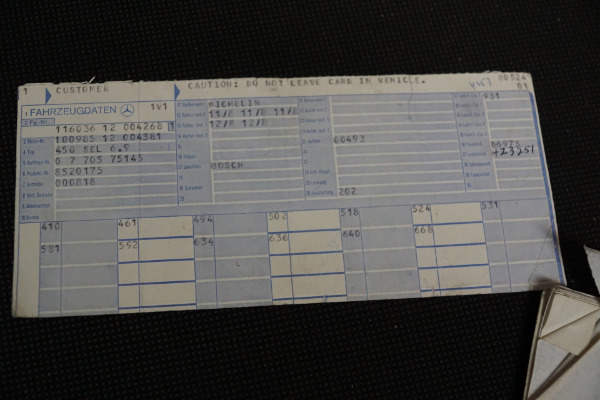 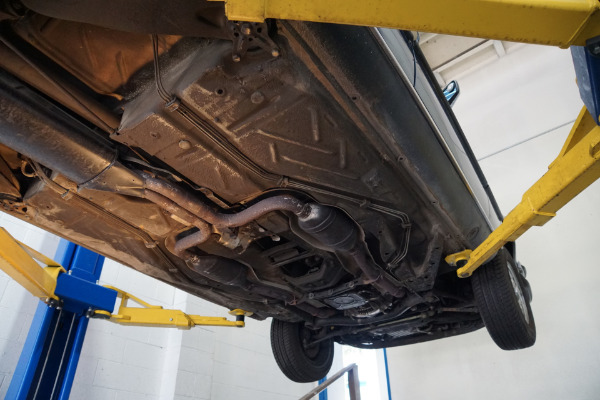 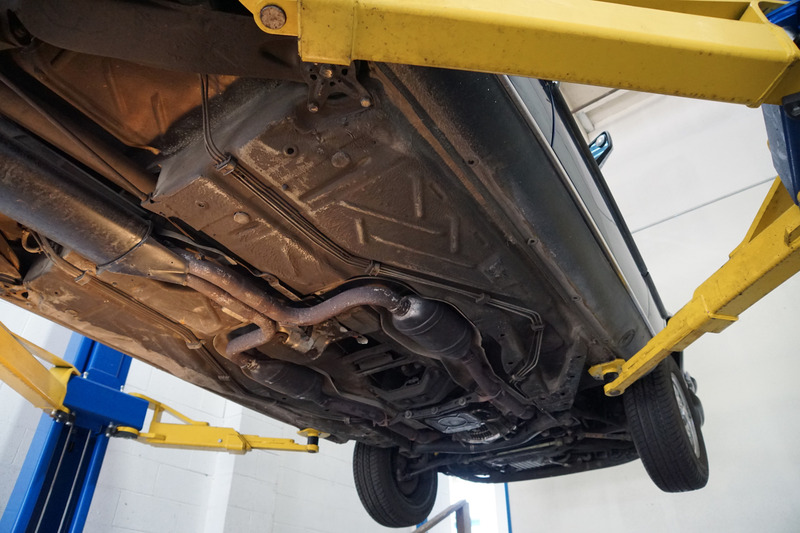 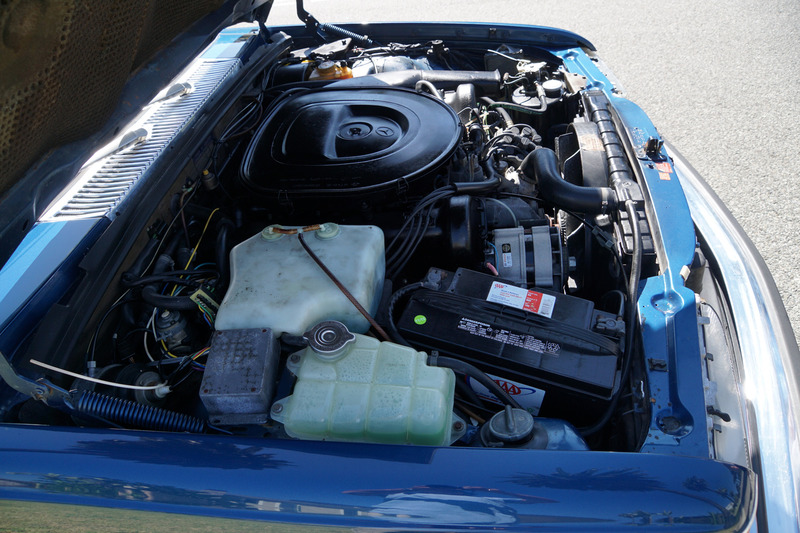 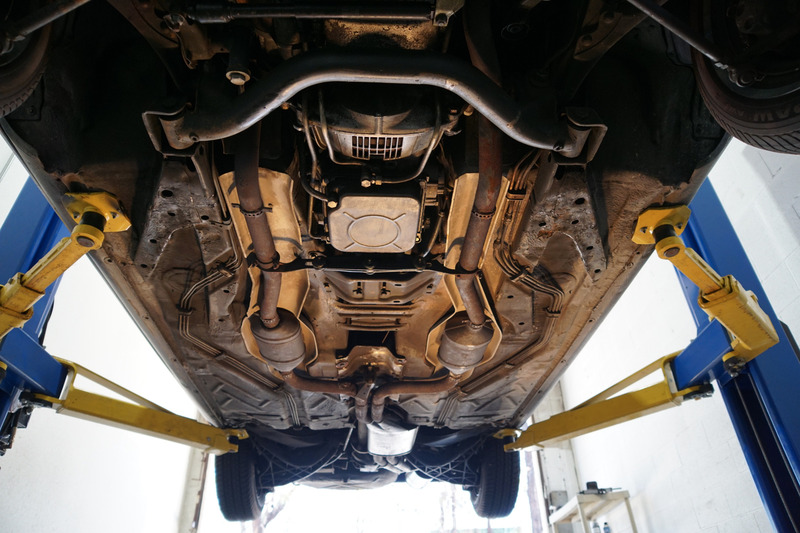 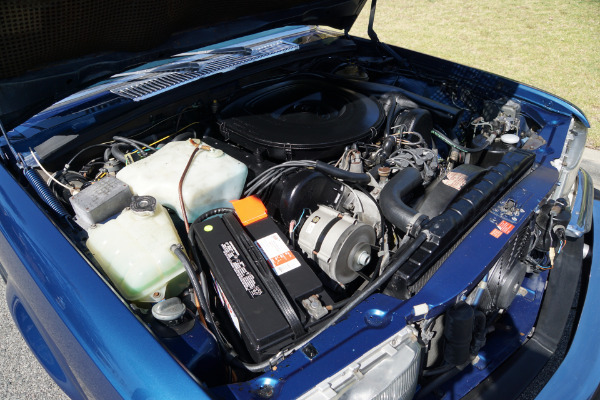 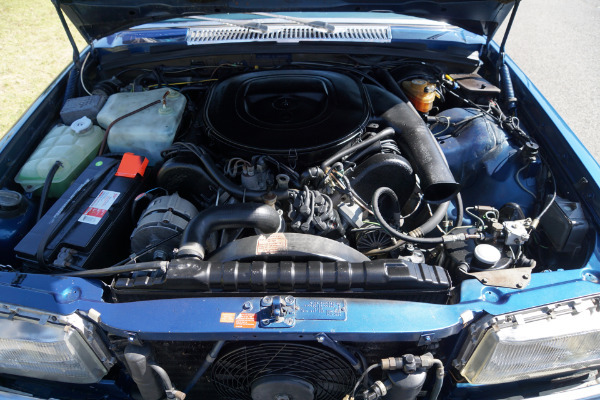 The car was introduced into the U.S. for the 1977 model year with a price of over $44K (over $160K according to the CPi when price adjusted for inflation in 2018) which went to over $52K by the end of U.S. production in 1979! That was virtually the same price as a new Rolls Royce and at a time when the most expensive Cadillac, the full size Fleetwood series 75 Limousine listed for less than half that amount! 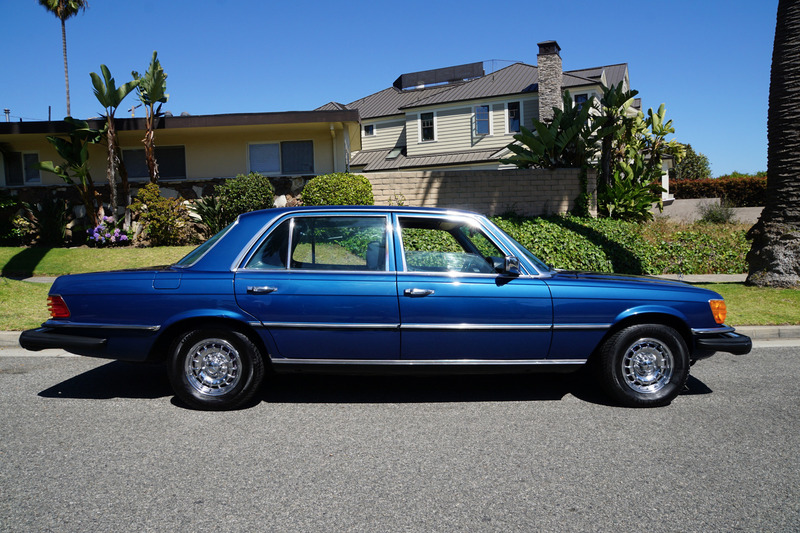 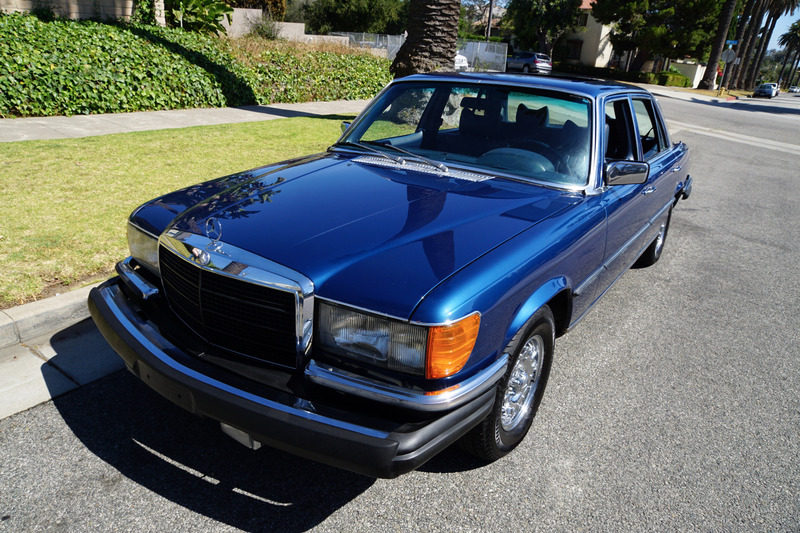 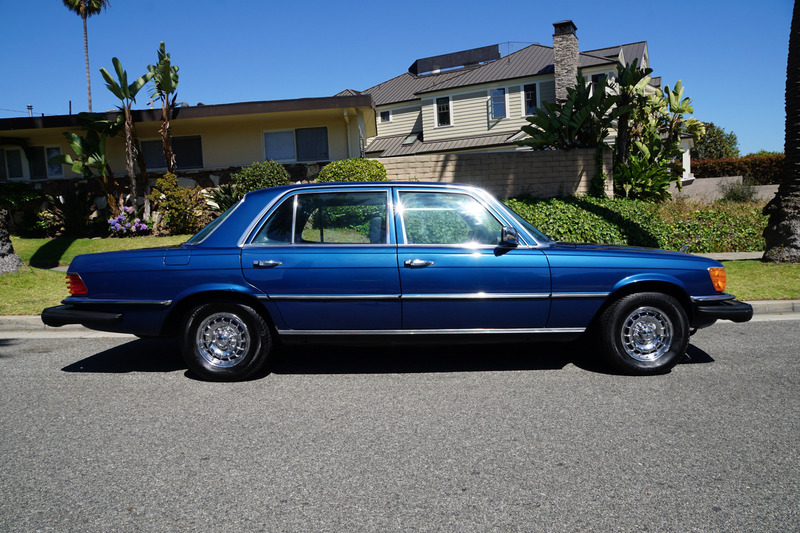 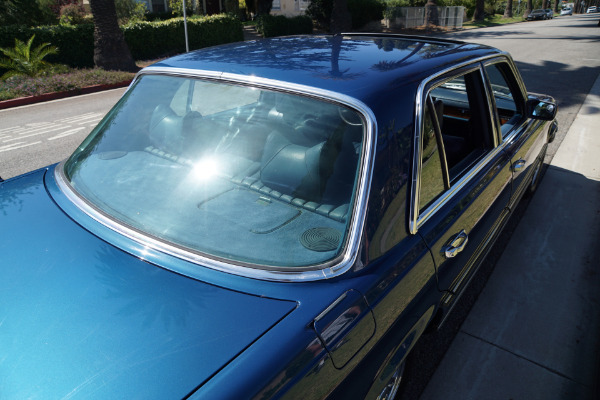 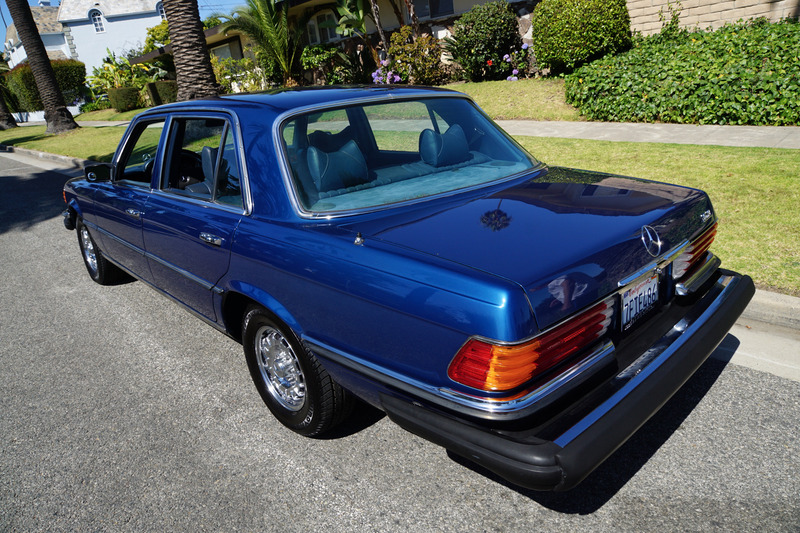 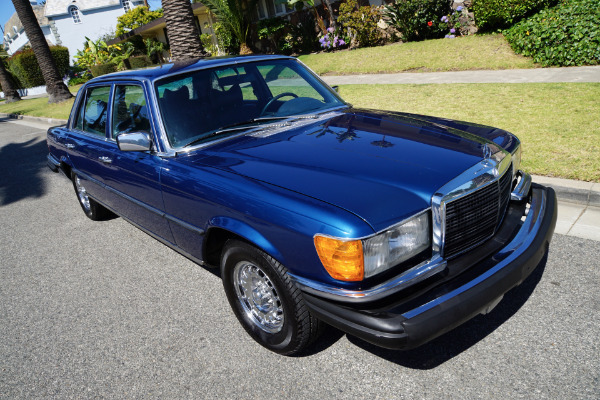 This particular example boasts one original southern California owner since new who had kept the car in storage without using it very often for some years and it is a mostly completely stock example with it's original factory 'Becker Grand Prix Cassette Stereo' radio, power windows, power steering, power brakes, spare wheel and jack, original Mercedes Benz chromed alloy 'Bundt' wheels with 4 brand new tires and a factory sunroof and air conditioning! 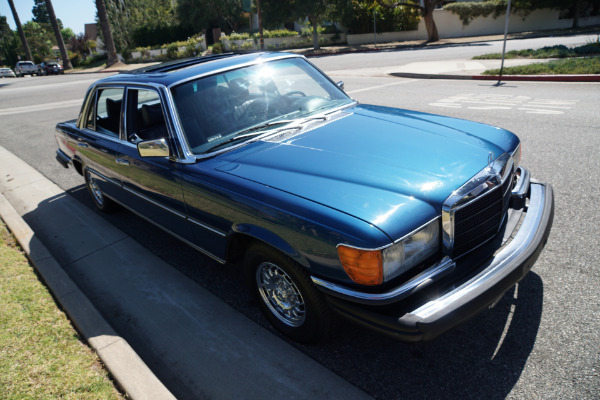 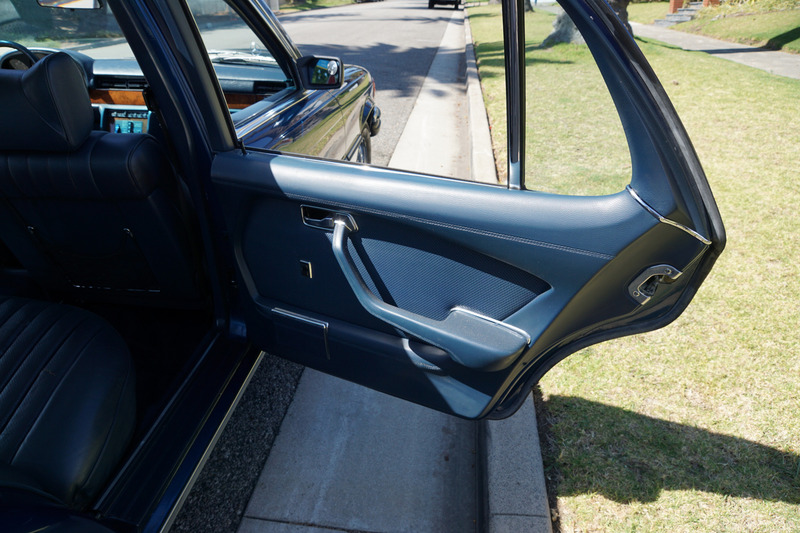 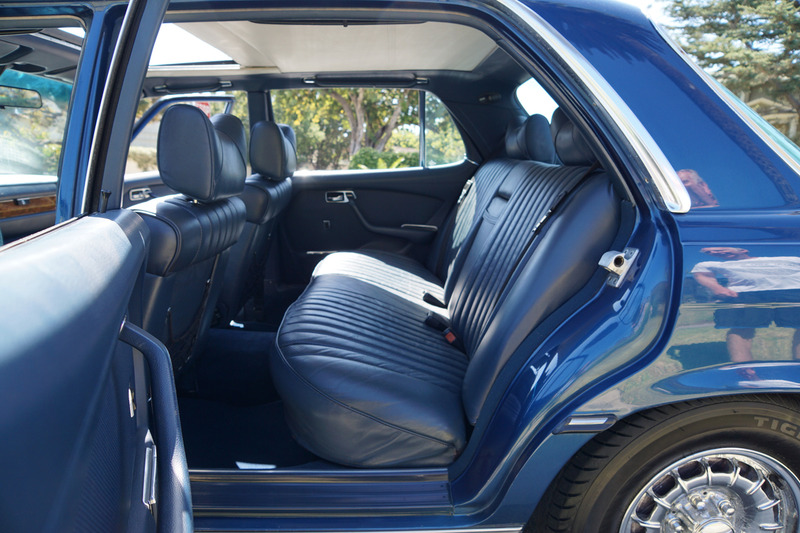 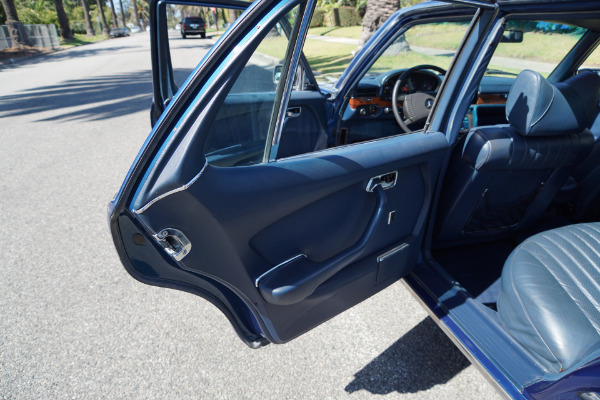 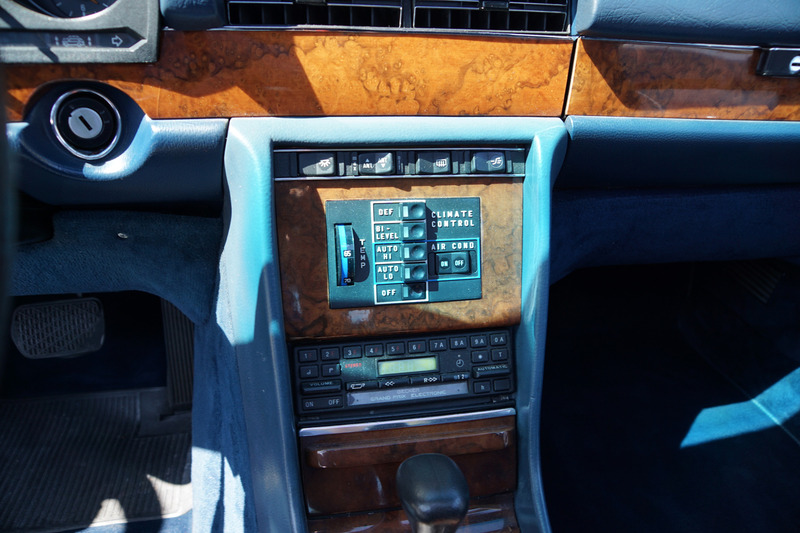 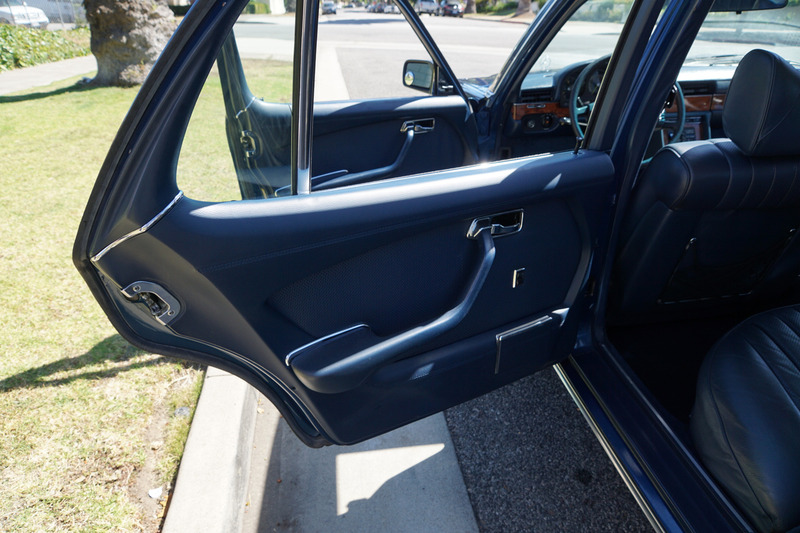 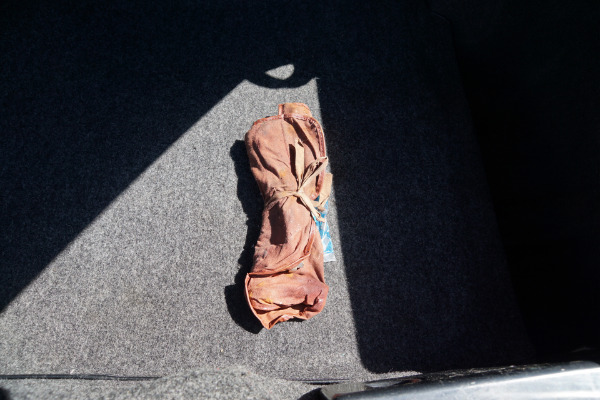 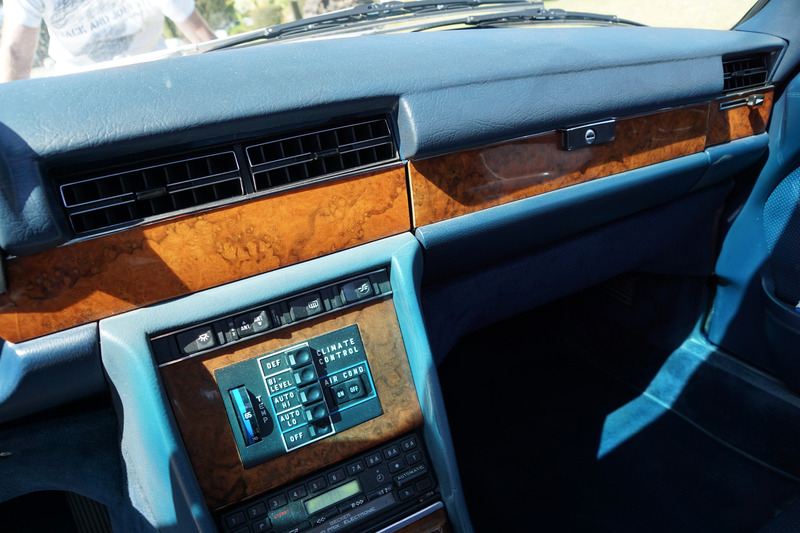 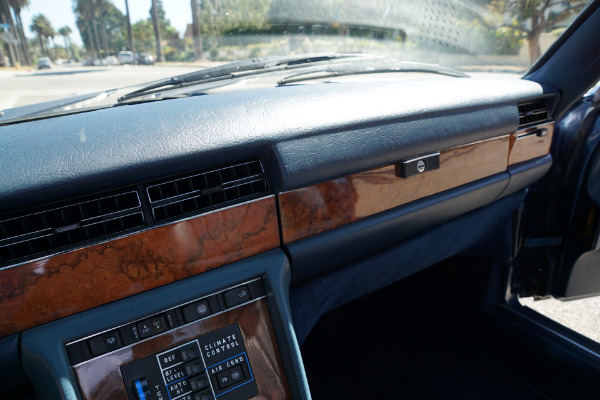 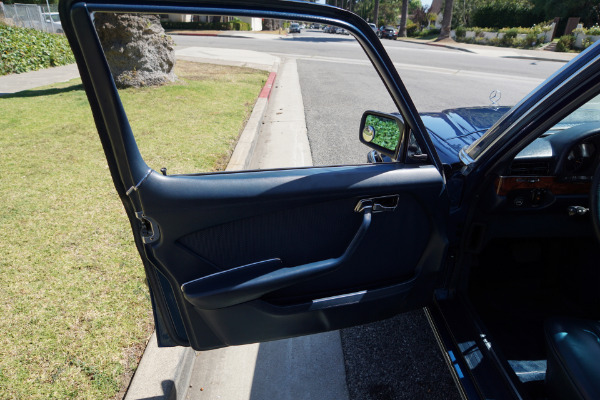 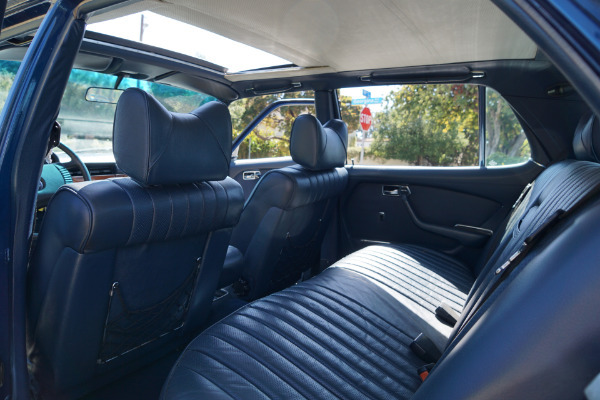 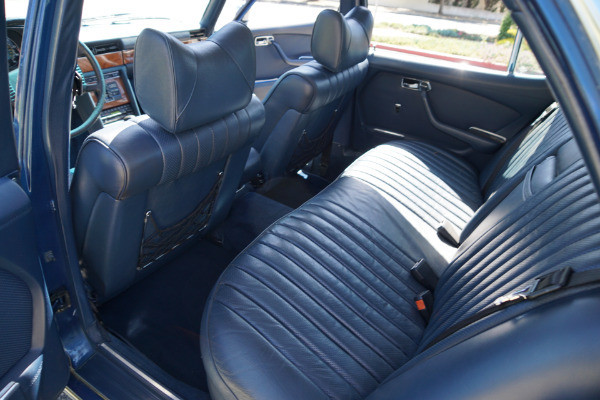 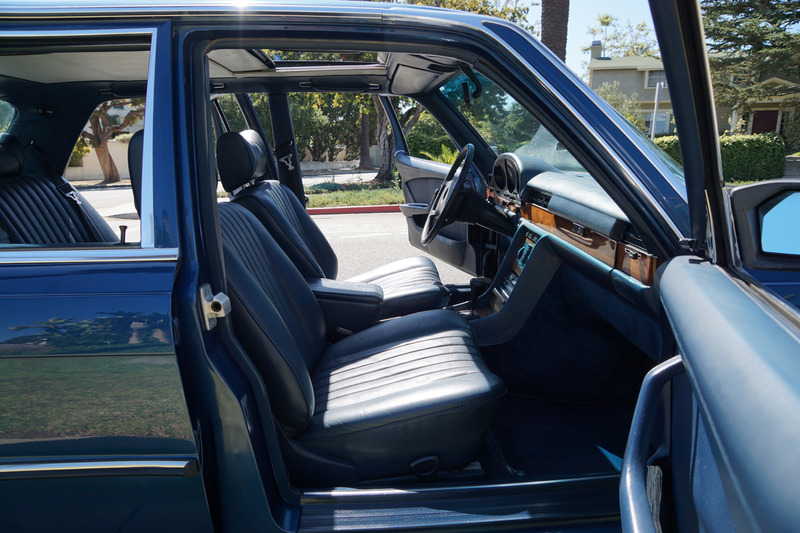 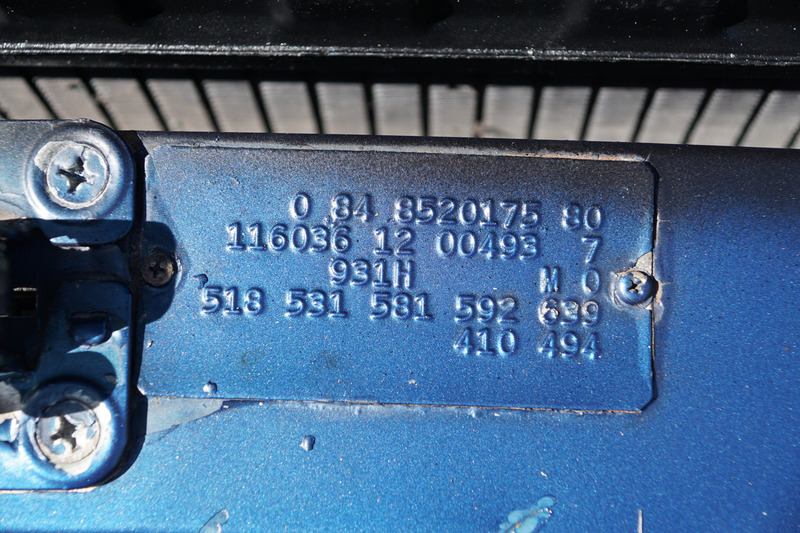 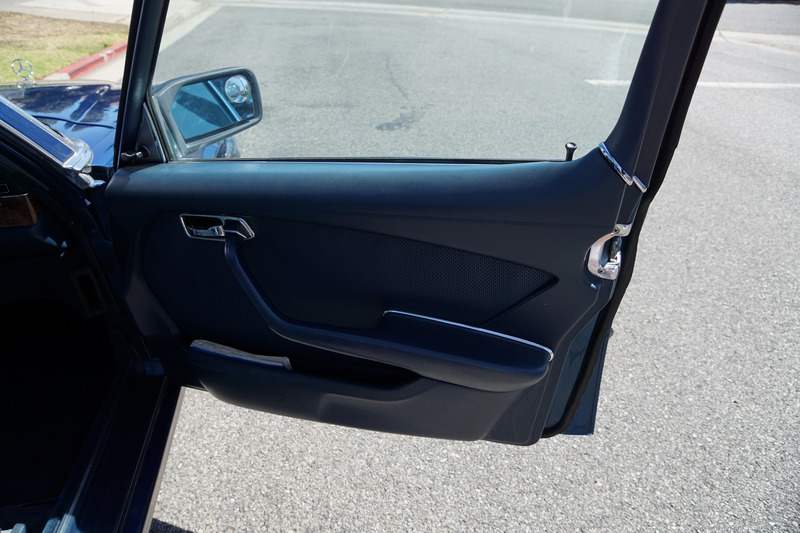 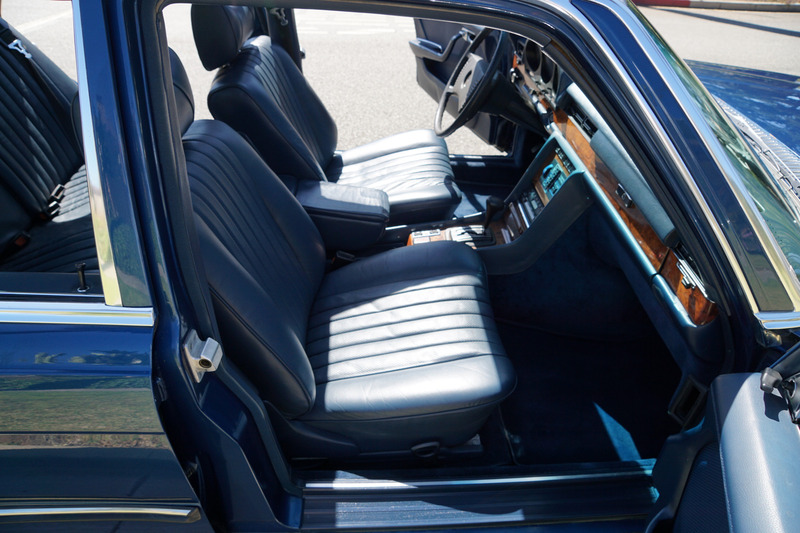 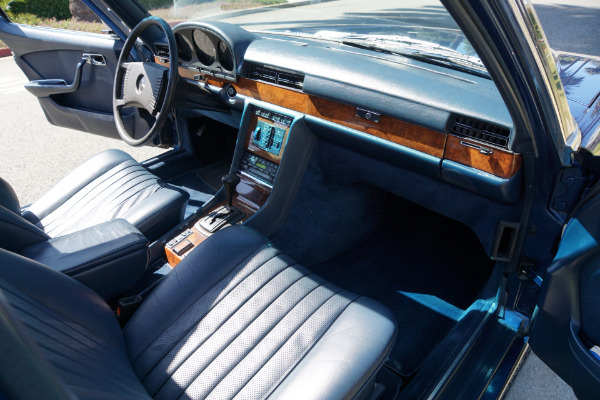 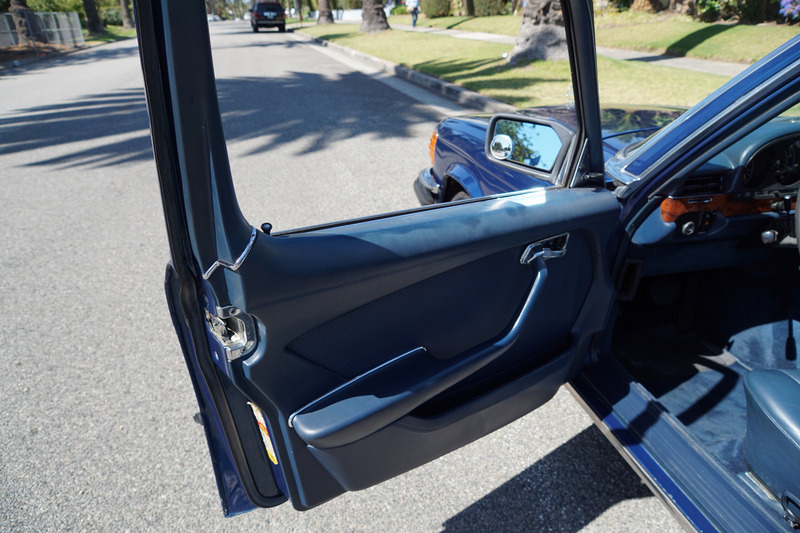 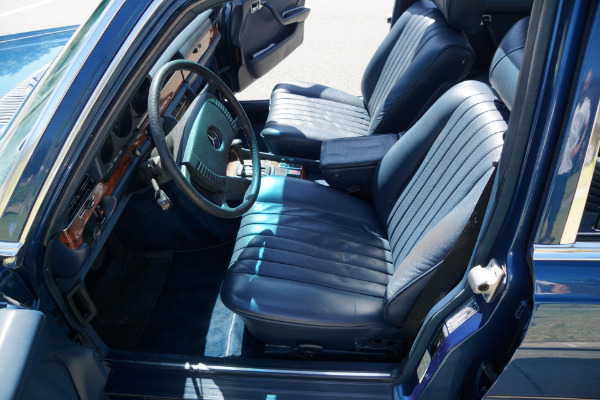 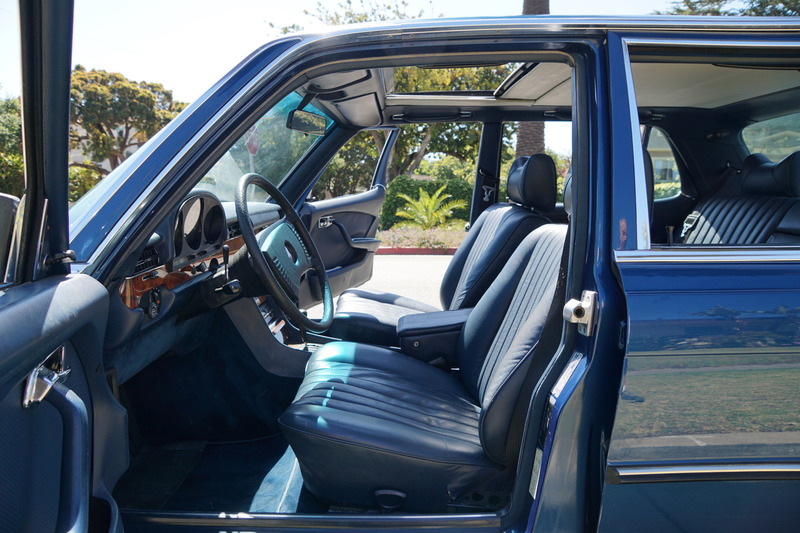 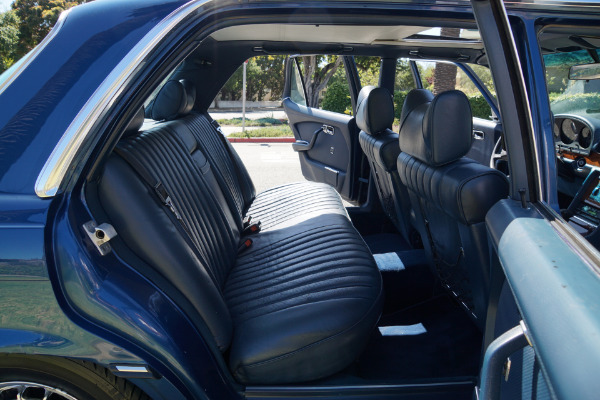 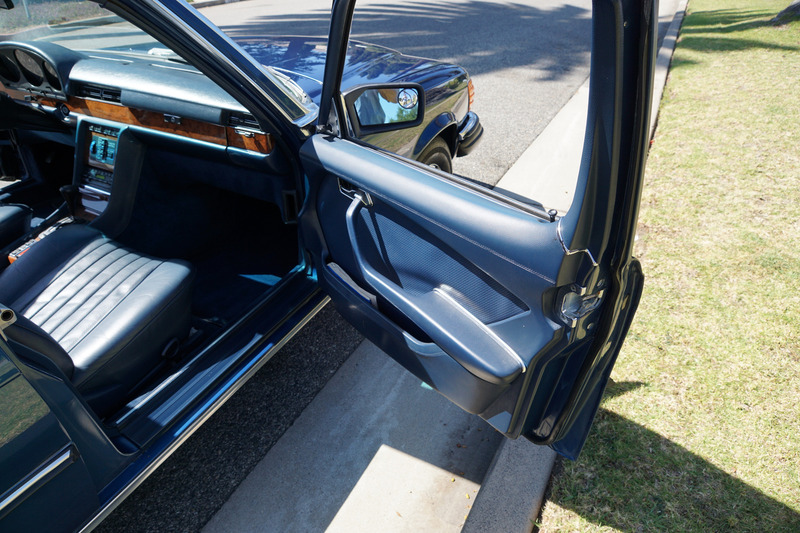 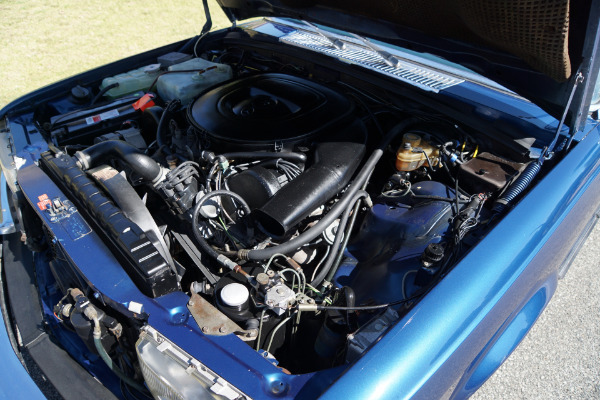 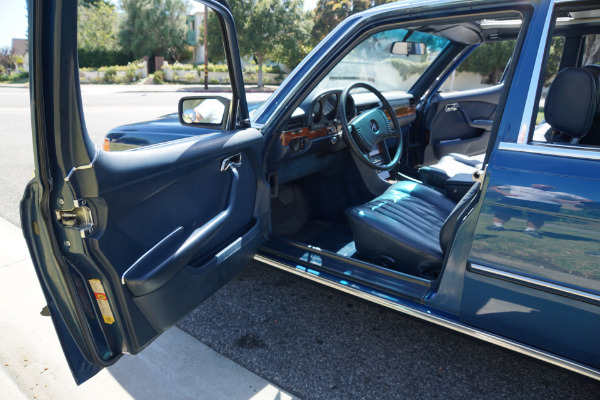 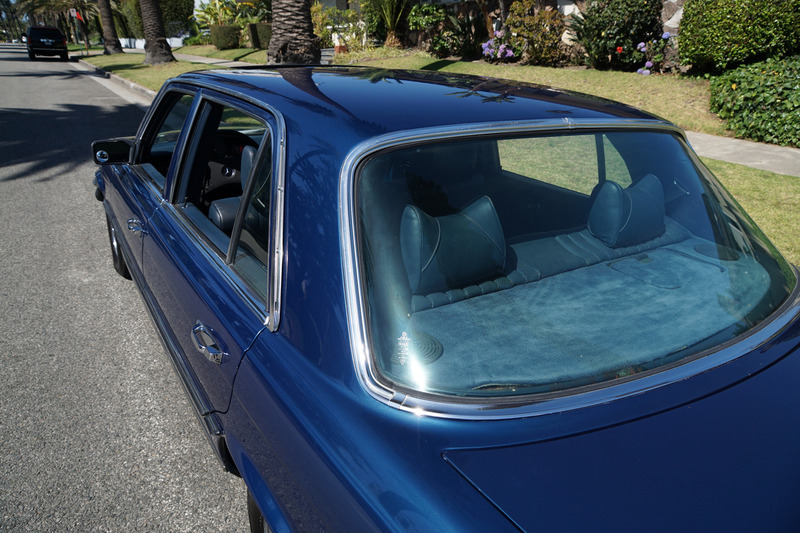 The car has been repainted at some point in it's original and highly striking 'Magnetite Blue Metallic' (Code 931) factory color paint and has a seemingly all original and matching 'Dark Blue' leather interior! 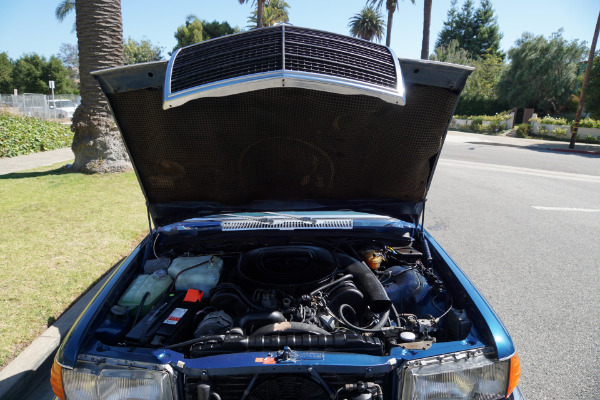 The highly desirable 6.9L/250HP V8 engine runs extremely well, the odometer shows only 99K original miles but please note that the odometer was replaced sometime after 2006 and therefore the true mileage should be considered unknown, although also please note that in 2006 it was reportedly no more than 116K miles and the car has driven very few miles since. 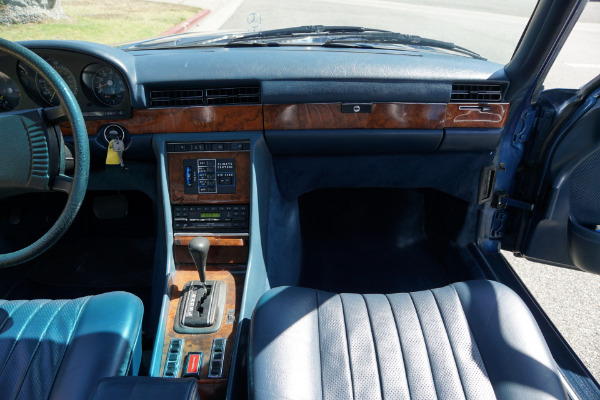 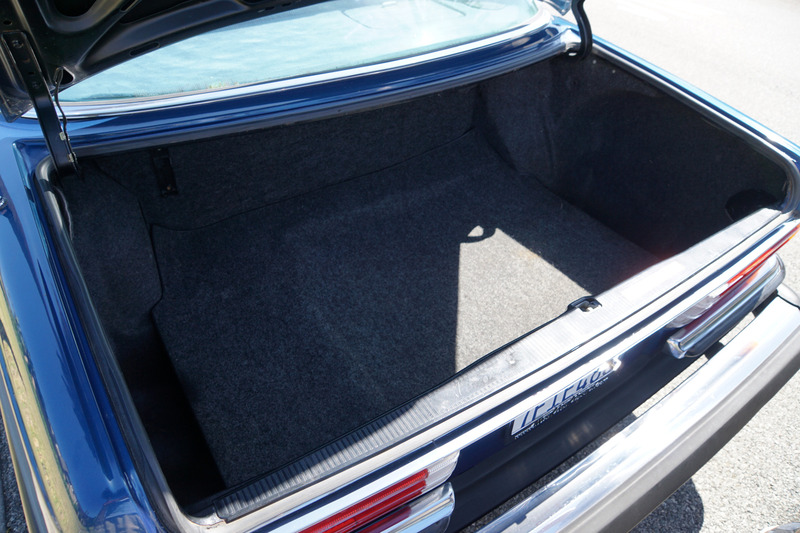 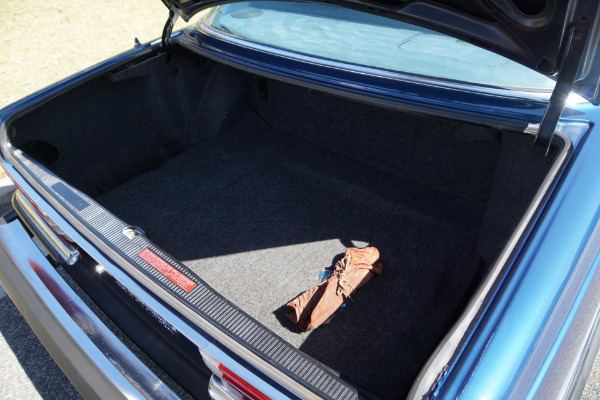 This is a car fully loaded with factory options including power steering, power brakes, power windows, power antenna, 'Becker Grand Prix Cassette Radio', electric sliding sunroof, air conditioning and insulating glass all around with a heated rear window. 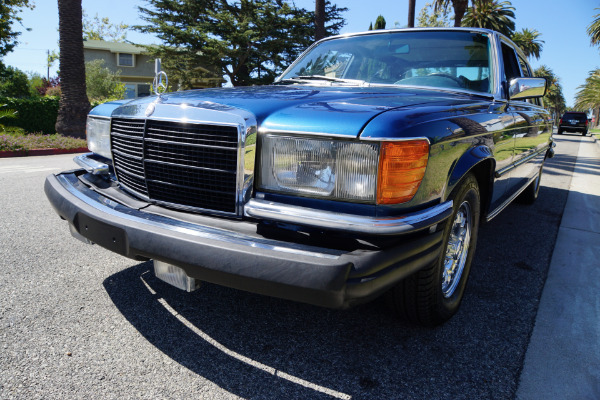 This particular example from 1978 must has spent almost all of its life garaged and it is an extraordinarily fine unmolested and stock example in superb condition throughout with no signs of any accidents or body damage ever and absolutely no rust anywhere. 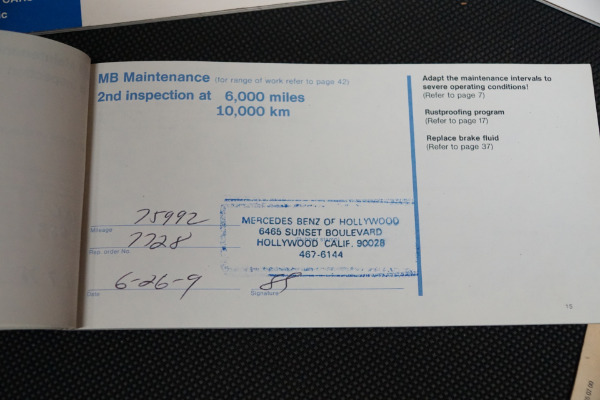 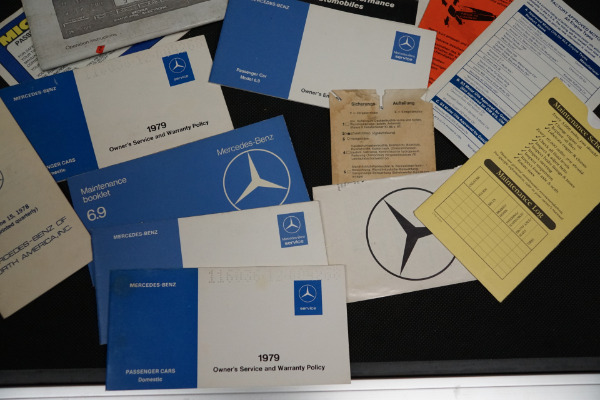 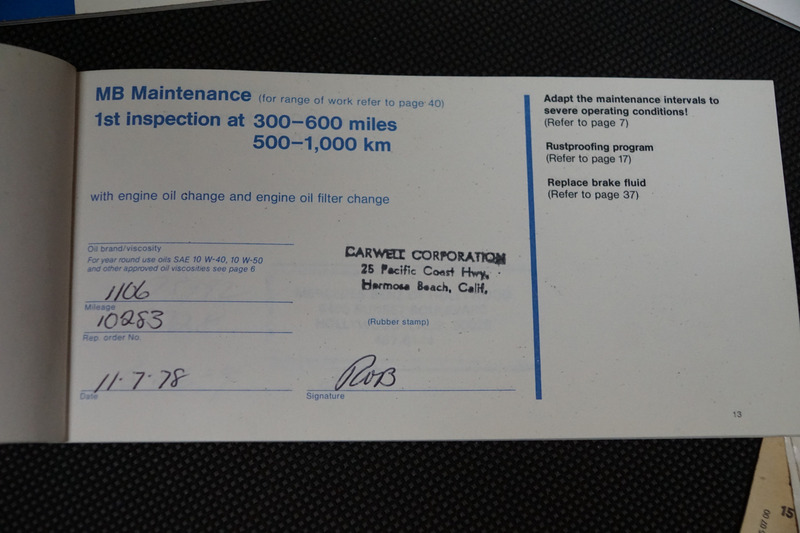 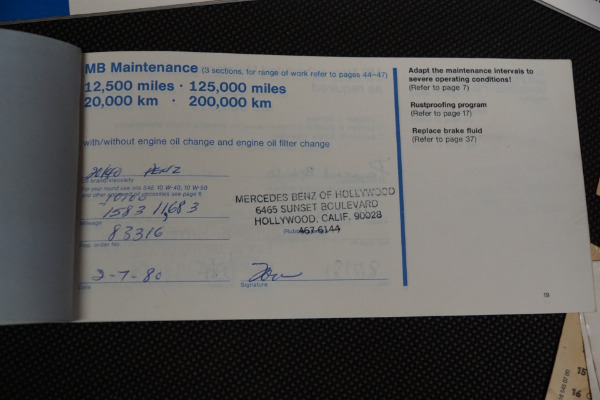 The car was purchased in 1978 by it's original and only southern California and world renown celebrity owner at 'Carell Corporation' of Hermosa Beach, CA, at the time the Mercedes-Benz dealership for the area, and was originally serviced at at 'Mercedes-Benz of Hollywood, CA' the Mercedes-Benz dealership on Sunset Blvd and in most recent years at the renown West Los Angeles and Santa Monica Mercedes Benz independent specialists, 'Westside Mercedes'. 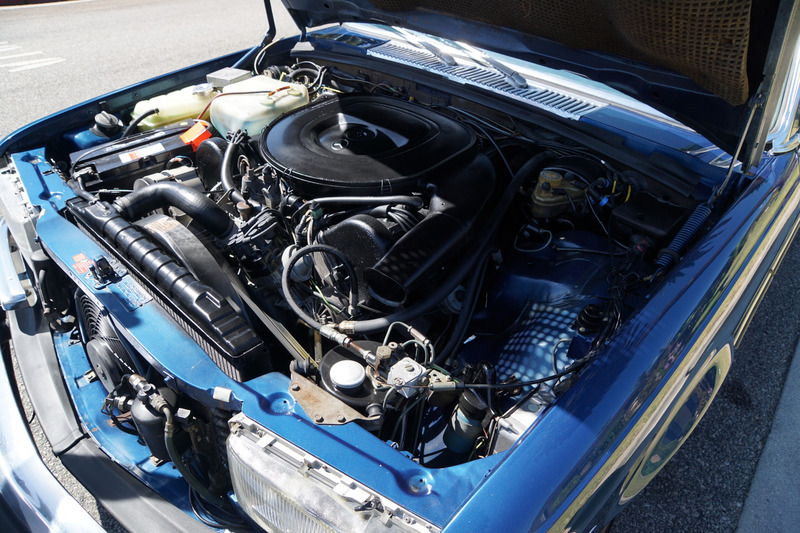 In 1968 the M-100 engine and hydraulics from the 600 were fitted to the much smaller but still substantial 300SEL 6.3 creating the world's fastest four-door sedan. 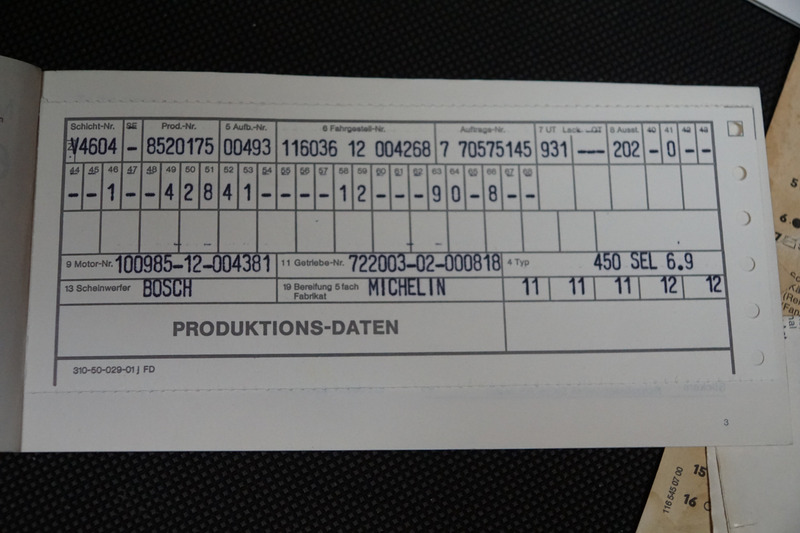 Upon the introduction of the W116 chassis, a larger 6.9 liter version of M-100 was installed in the 450SEL 6.9. The car only was ever imported to the U.S in the first place because there was a sufficient outcry from American dealers and customers to practically force the factory to import it, even though it couldn't build enough for the European market where the car has been on sale for eighteen months. 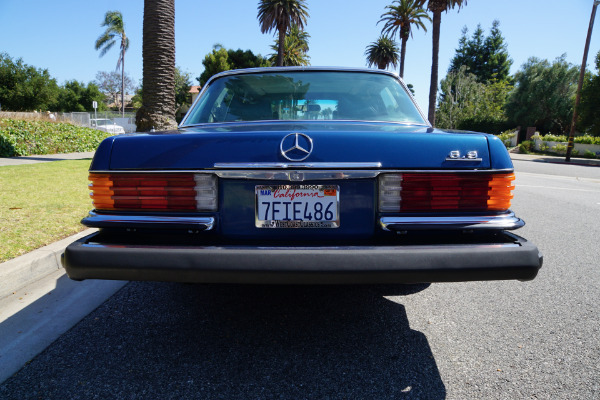 At a rate of less than 500 U.S cars per annum between 1977-1980, they sold as fast as they came off the boats. 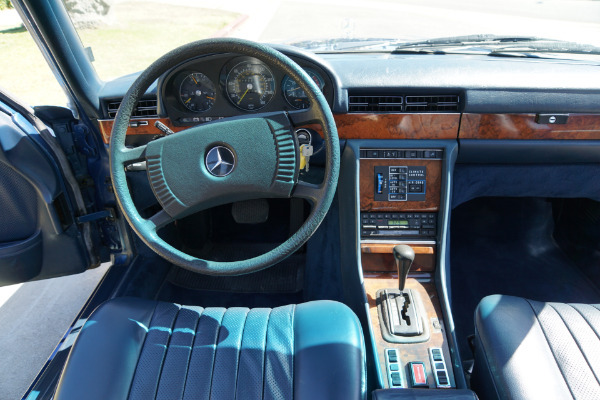 It should come as no surprise that the car was therefore in an exclusive territory of only those who could afford the very best, and who were fortunate if they could even obtain one of these rare imports from their local Mercedes Benz dealer, such was the exclusivity and demand of these amazing motorcars. 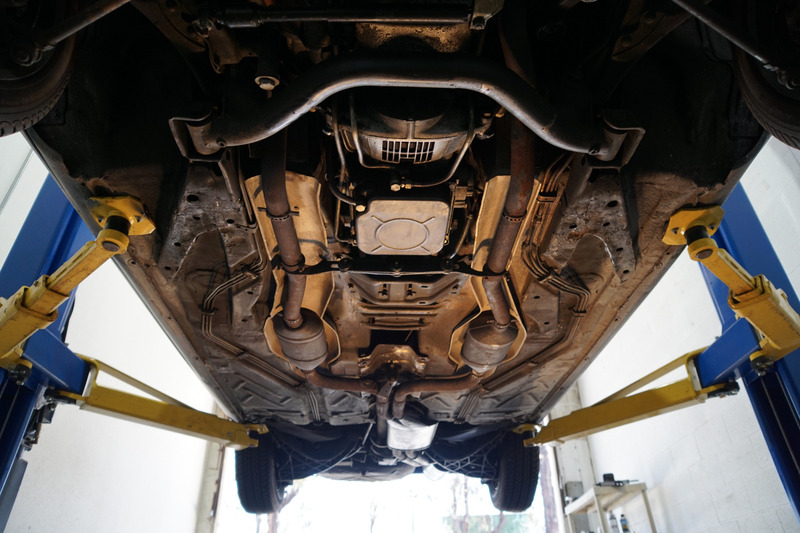 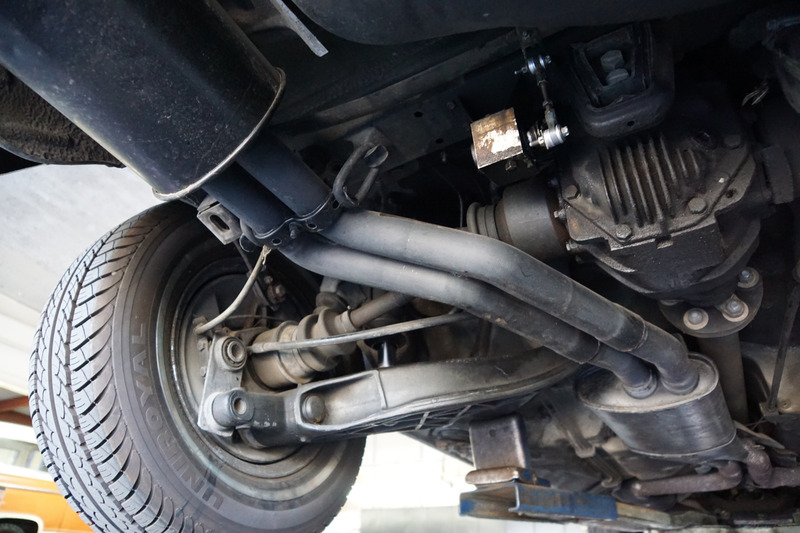 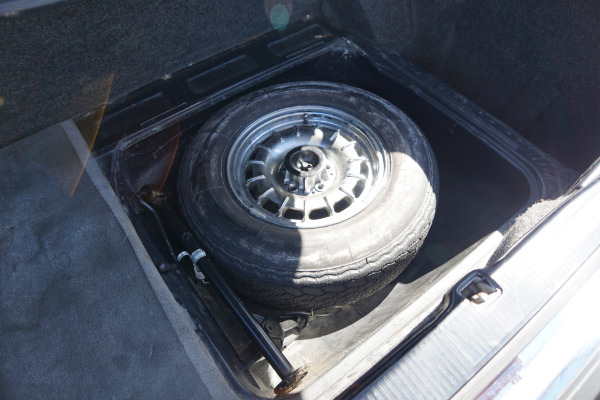 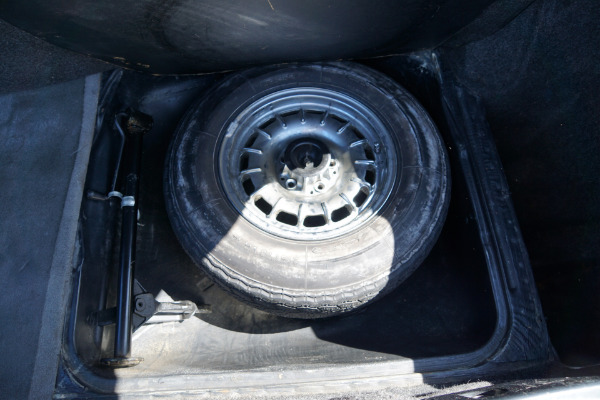 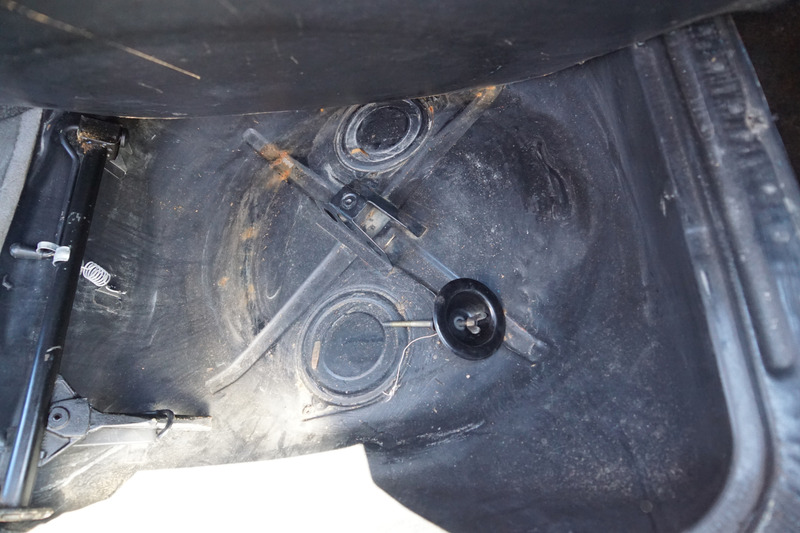 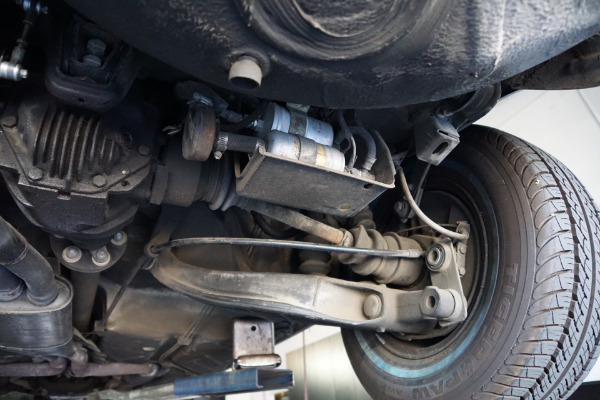 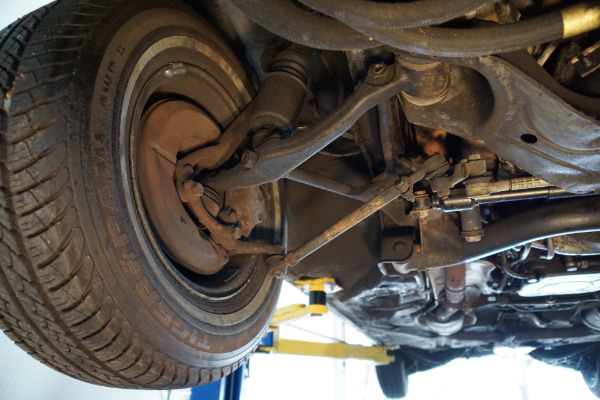 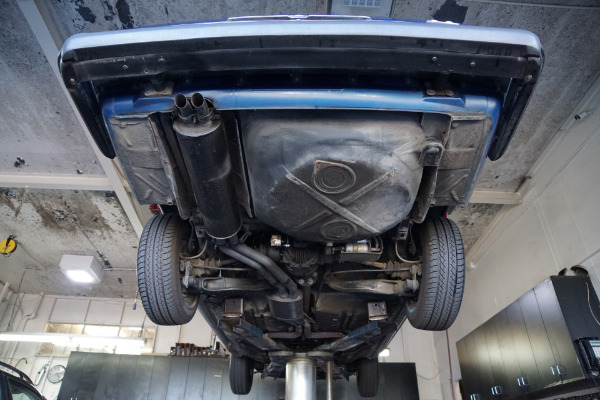 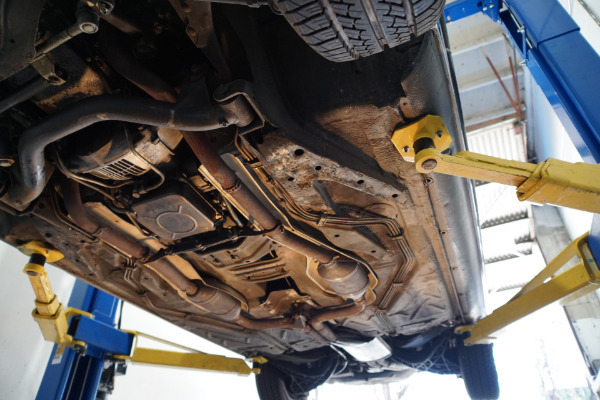 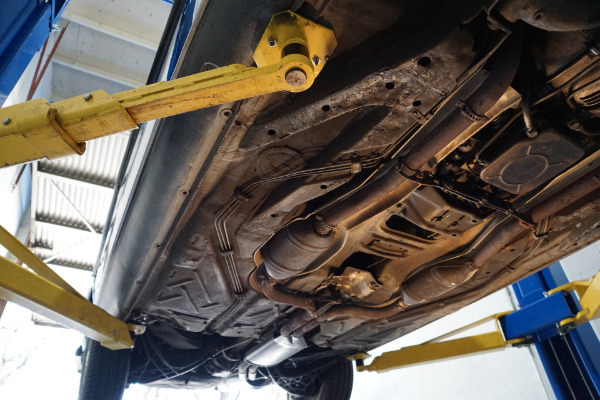 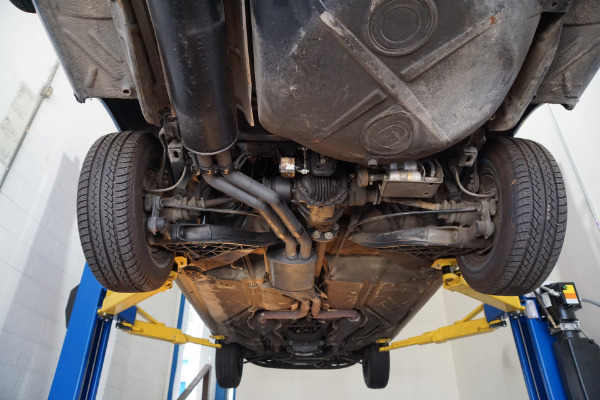 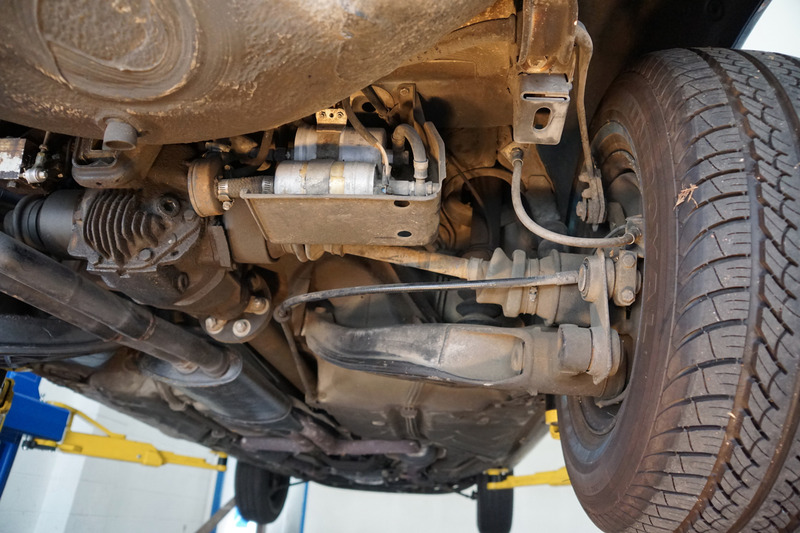 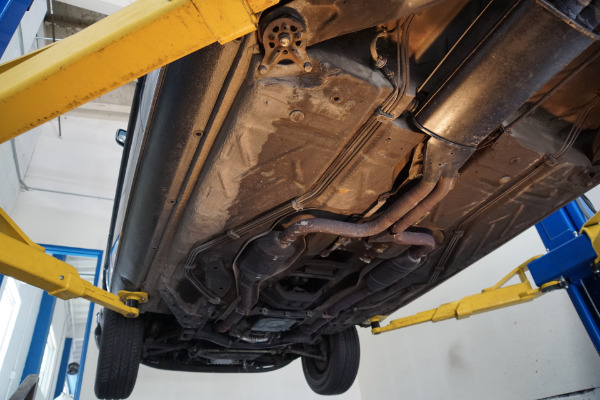 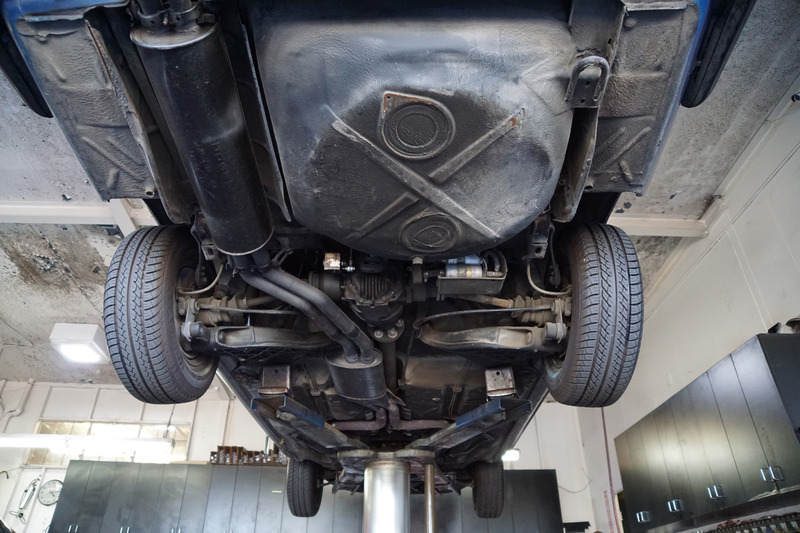 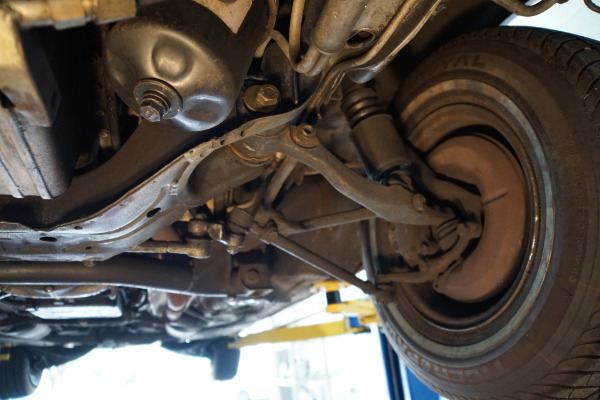 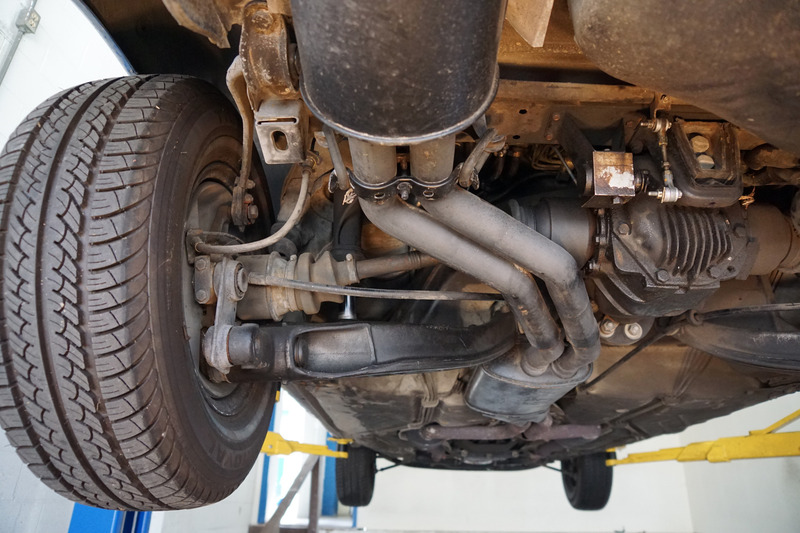 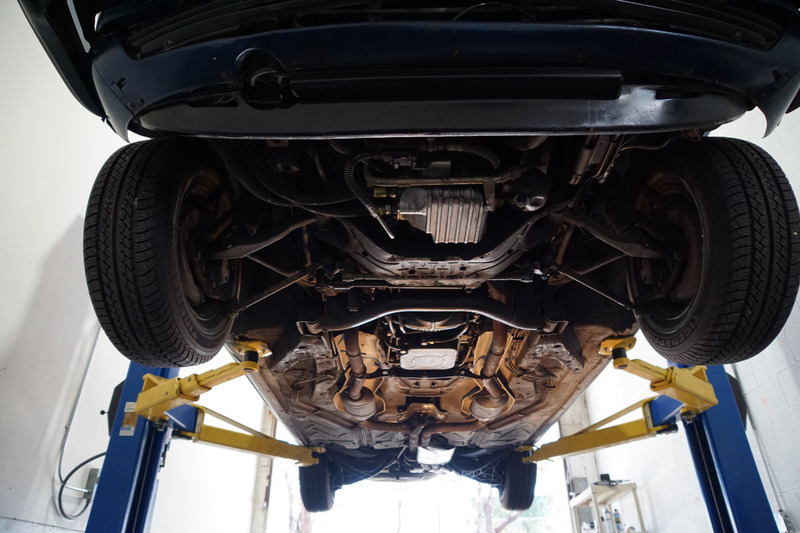 The 6.9's variable height suspension was actually illegal in the U.S at the time of production so the U.S. specification cars had the knob deleted for the raising of the car. 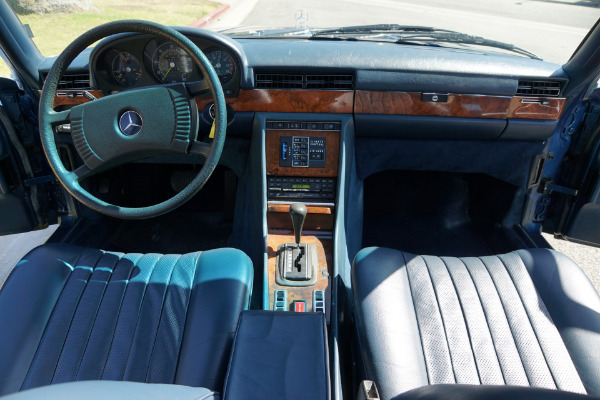 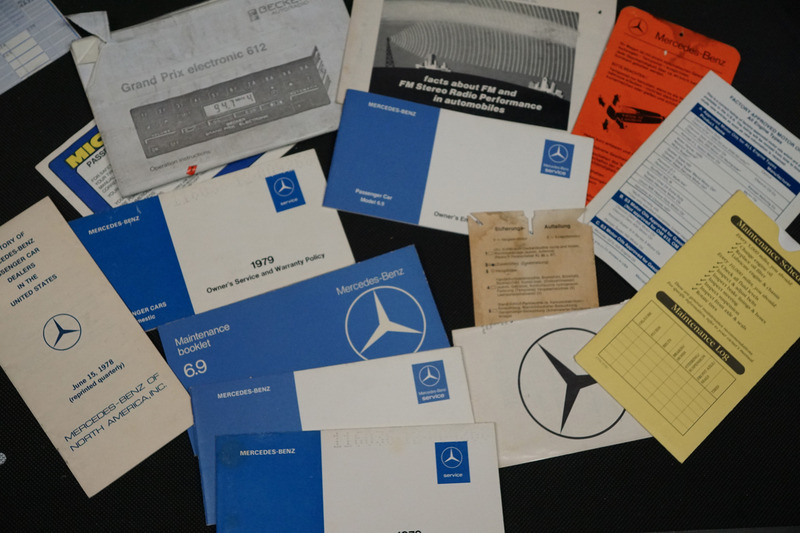 For fans of the discontinued earlier legendary 6.3 model, this was a car that continued its legacy with 'Car & Driver' magazine proclaining it to be the "Greatest Mercedes-Benz Ever Built!" 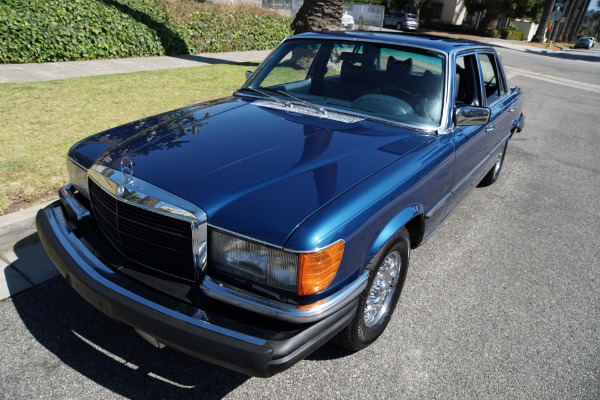 and Britain's 'Classic & Sports Car' magazine as recently as April 1999 declared the Mercedes-Benz 6.9 fourth on their list of no less than "the World's Greatest Saloons!". 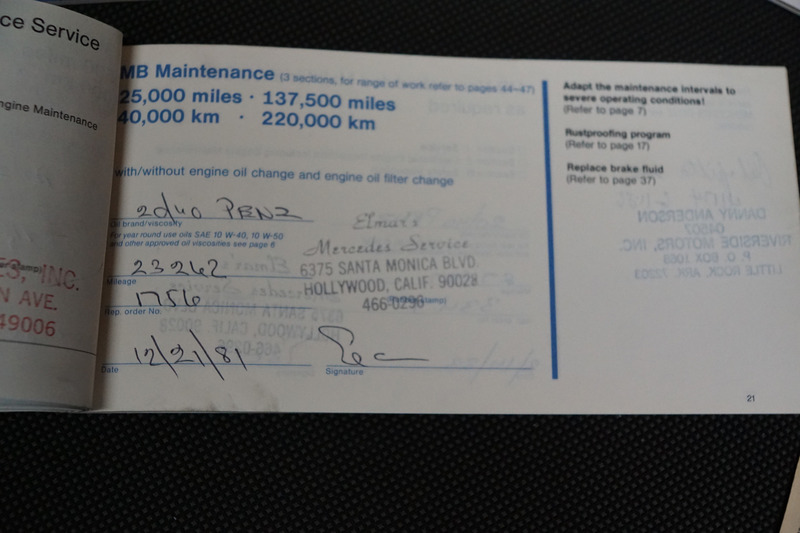 Indeed it certainly seemed true that money was no object for those that had to own one and for that tiny handful of people, many of them former owners of Mercedes-Benz 6.3 sedans, who truly wanted the fastest production four-door sedan in the world, boy were they were willing to pay for it, even though it had hard leather seats, a slab of wood on the dash, and few other amenities. 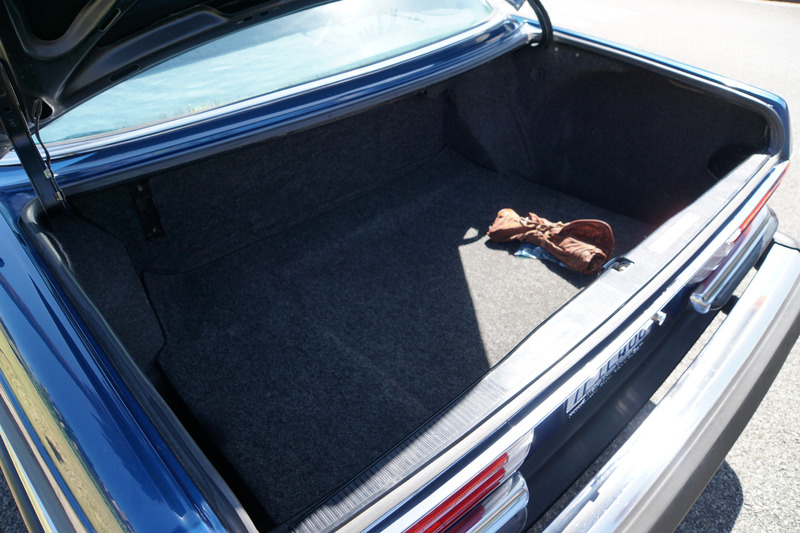 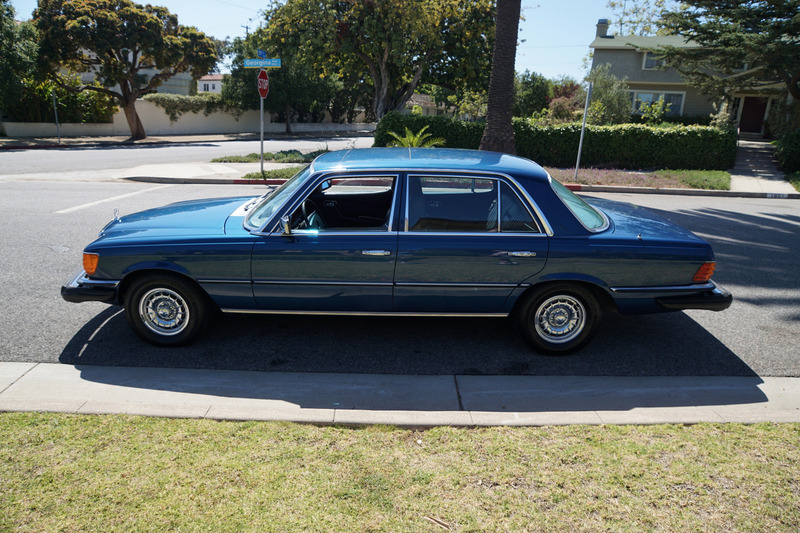 Slightly wider fourteen-inch wheels and a 6.9 emblem on the trunk lid distinguished it from the garden-variety 450SEL. 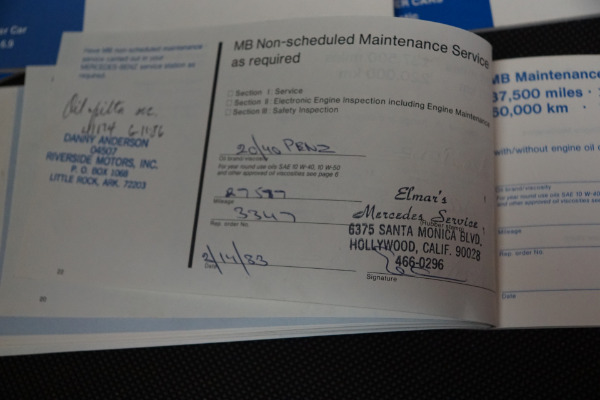 What you were paying for wasnt flash, it was engineering. And the engineering started under the hood. 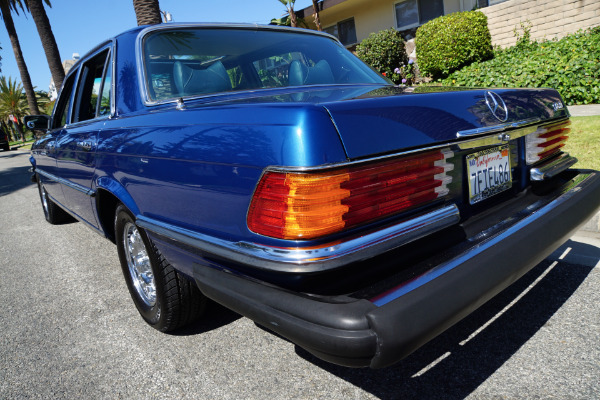 The 6.9 was destined to be more than a mere replacement for the 300SEL 6.3. 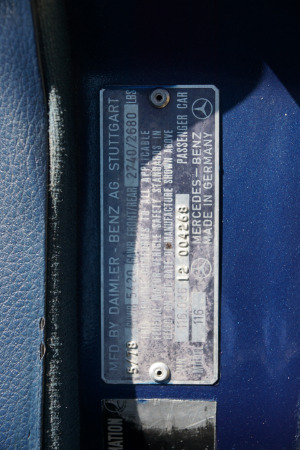 The 6.3 was the big news in 1968 when it was introduced. 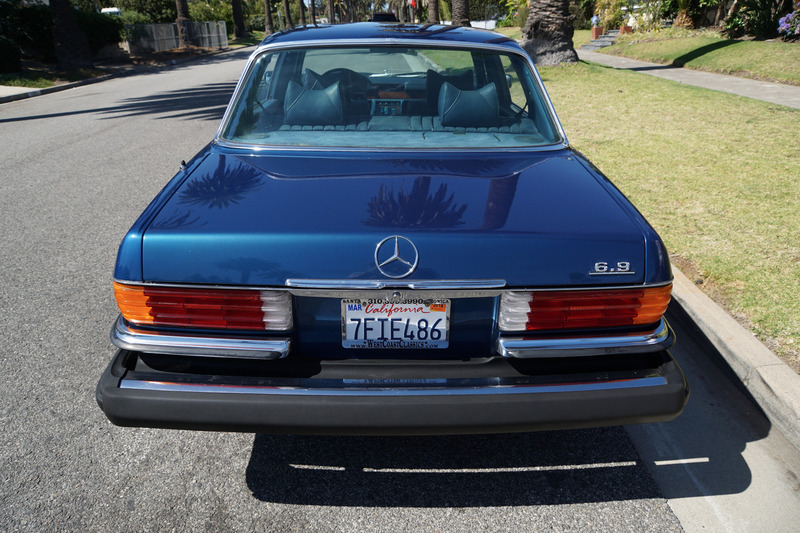 It was the 300SEL body with air suspension and a hot-rodded version of the 600 limousines engine and it went like the clappers. 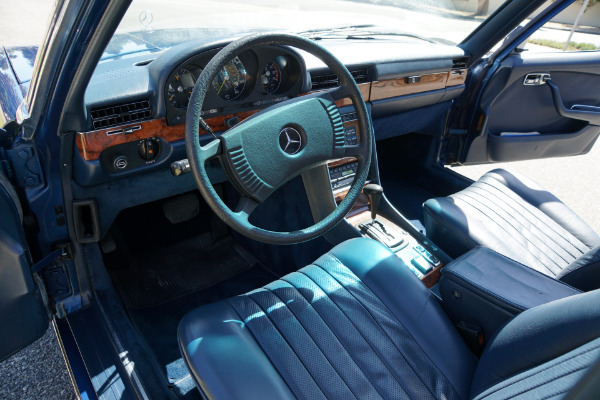 A total of 1840 were sold before Daimler-Benz stopped producing the car in 1971, but the 6.3s impact on enthusiasts far exceeded its sales. 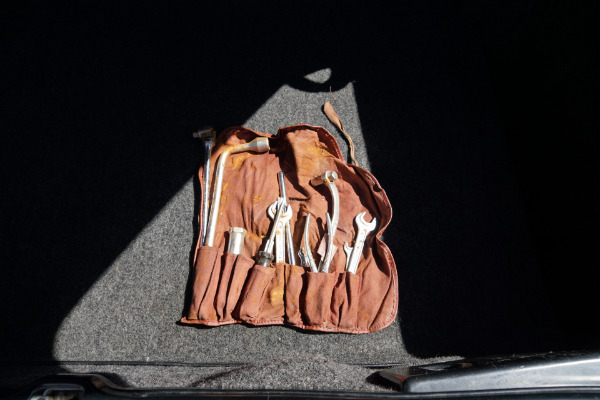 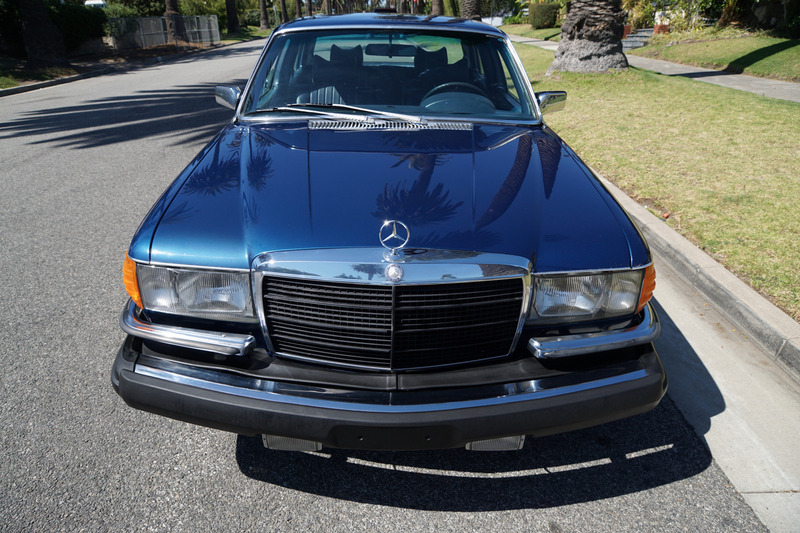 Its successor, the 6.9 was the continuing flagship car of the entire Mercedes-Benz fleet. 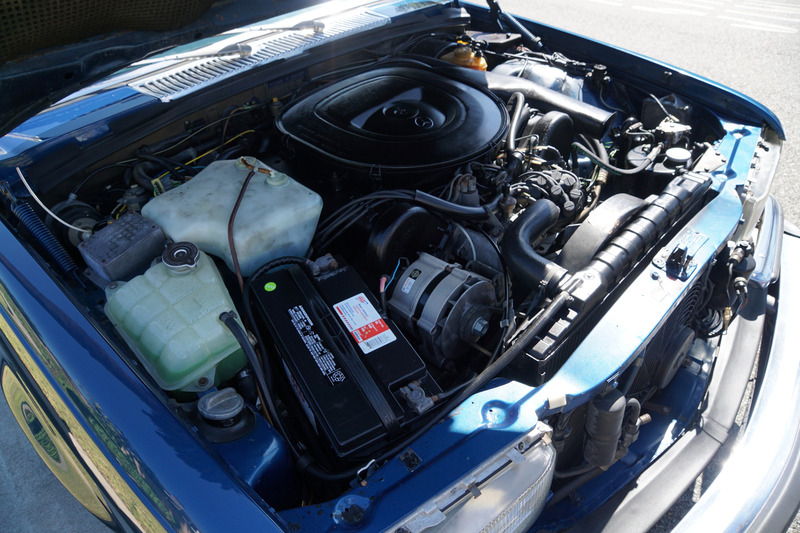 The car boasted a dry-sump engine, self-leveling hydropneumatic strut suspension, specially modified three-speed automatic transmission, beefed up driveline and a very sophisticated Watts linkage applied to the already superior Mercedes independent rear suspension to enhance anti-dive and anti-squat performance on hard braking and acceleration. 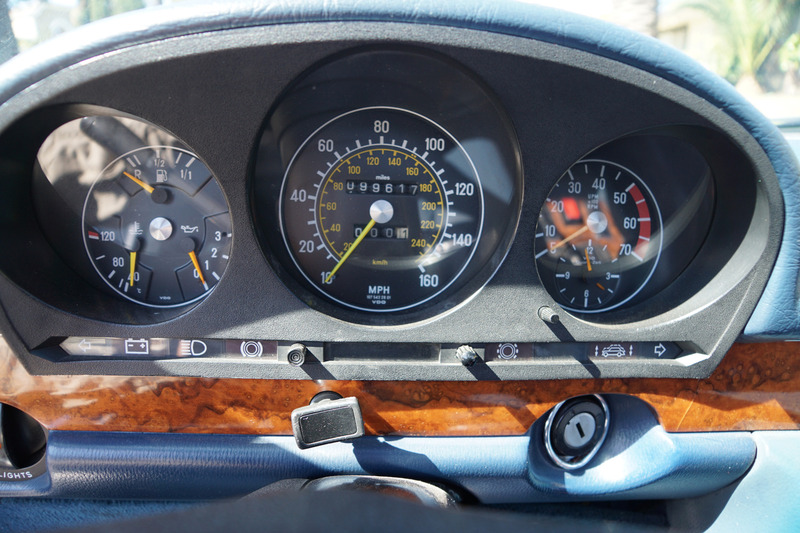 The 6.9 feels more nimble, more agile than any other classic Mercedes sedan of its era. 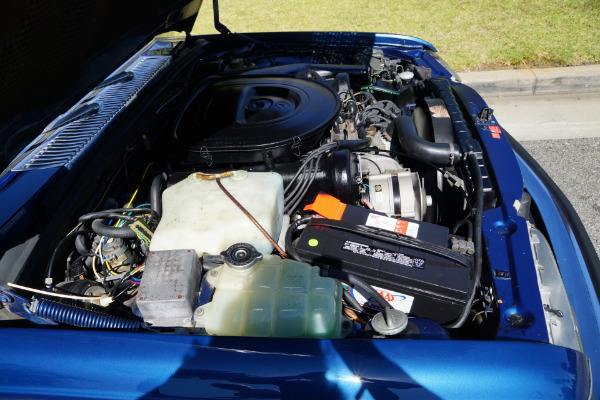 The new suspension, combined with the extra power of the 417-cubic inch engine makes it possible to toss the big sedan around like a bug-eye Sprite. 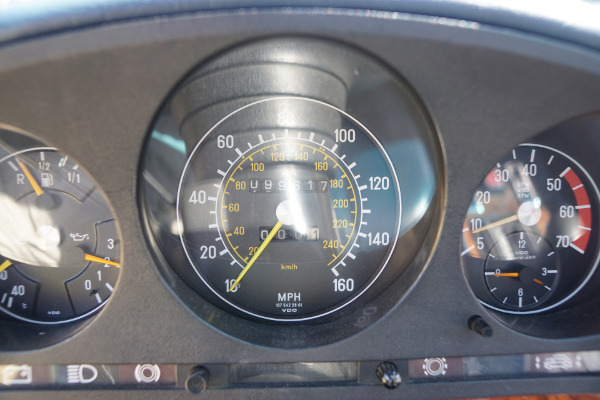 It would accelerate 0-60 in a little over seven seconds and has a top speed of nearly 140 mph. 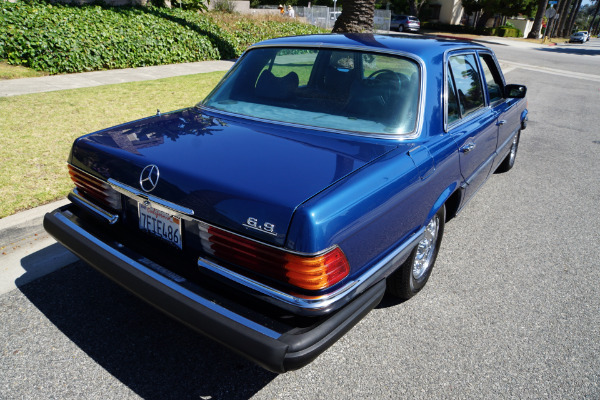 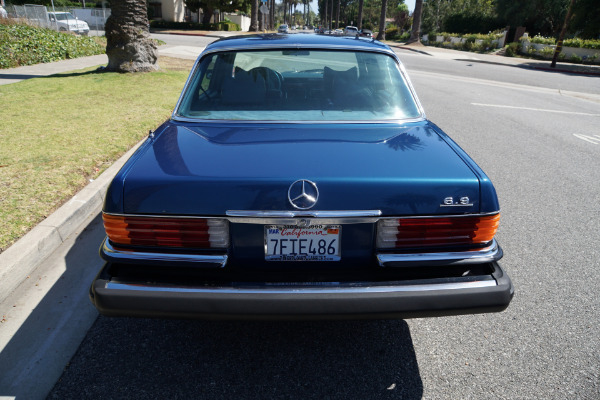 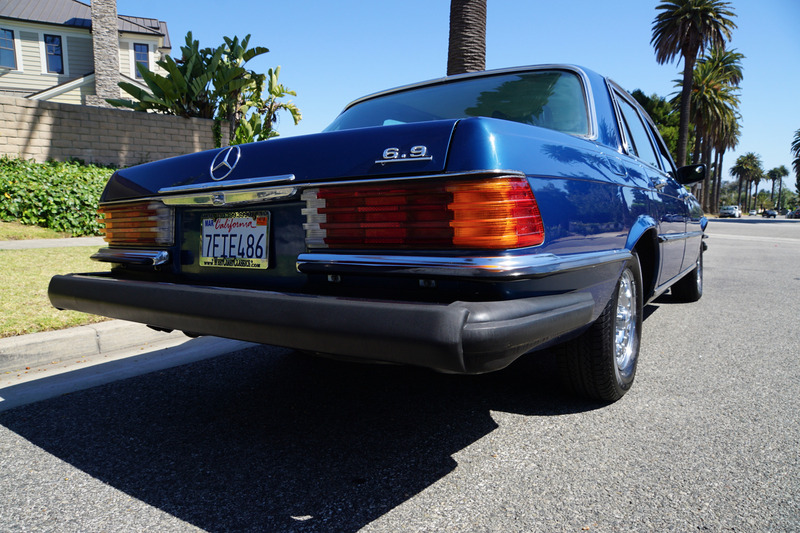 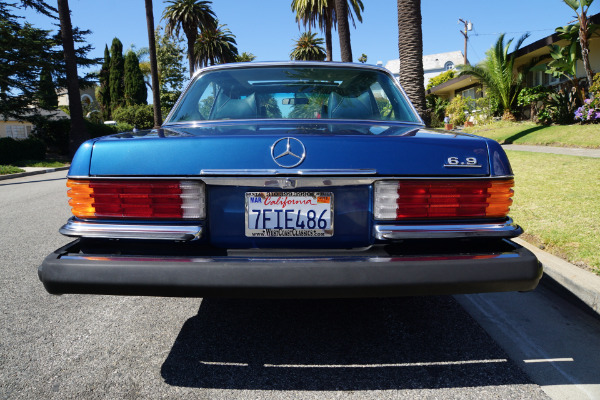 In summary this is one very rare and head-turning example of a mostly completely original 1978 Mercedes-Benz 450SEL Long Wheel Base 6.9 sedan with only one southern California celebrity owner since new. You will look long and hard to find a finer unabused and well maintained example anywhere else.